I use 5 business whys to identify the context of business status quo. They form a solid place to start rooting out issues that keep individuals, teams and businesses stuck where they are. More than that, these One Millimeter Mindset™ 5 Business Whys pose solid questions designed to keep you thinking bigger, instead of becoming obsessed after drilling down to identify What’s Wrong. 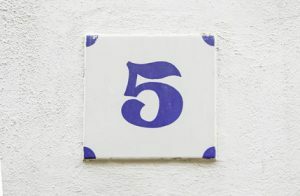 Now, the 5 Whys technique is used in quality and design thinking to take a deep-dive into cause-and-effect relationships which underlie specific problems. In short form, the question “Why?” is posed five times. Then, the answer to the prior Why creates the basis of the next “Why?” question. Often, small problems snowball over time until they become too big to ignore. Under the guidance of the right implementer, the 5 Whys explores the breadth and depth of what, when, where, why and who is involved in causing – and addressing – specific problems. However, far too many do-it-yourself folks schedule meetings and ask “Why?” 5 times. Then, they are amazed that the group does not magically arrive at “the” answer to the problem. In addition, when done well, arriving at the ultimate Why (the 5th Why), tends to open an even bigger can of worms. Why? (No pun intended). Because root causes have really big, hairy, audacious contexts. (With attribution to Jim Collins, and Built to Last). And that is where the fun (and innovation) begins! As a result, the 5 business whys I deploy look at specifics, yet avoid getting everyone’s head buried in root cause sand. Yes, specific problems have very specific business, operations or financial impact (or all three). And then what? While there are specific fixes, most of the issues into today’s digitally connected, IoT businesses involve systems of people, processes, business models. Regardless of business size, this ecosystem of people, processes and business models exists to serve customers. Ultimately, each of the 5 business whys I use roots out issues which, when recombined synergistically, impacts customer success and customer retention. Keeping sight of the Big Picture while drilling down on root causes connects the specifications and details to end user experience. When your organization is able to connect the big stuff to the small stuff, innovation happens. Instead of fixing things so they work in today’s systems, improvements are made which upgrade, retool and recalibrate for tomorrow. Bye, bye status quo. One Millimeter Mindset 5 Business Whys are focused on leveraging collaboration to catalyze professional innovation, workforce engagement and customer success. When leaders, teams and individuals understand their causal roles in customer success, the status quo tends to dissipate. Instead, innovation mindset moves in, as a replacement. To find out more about my One Millimeter Mindset workshops and speaking programs, please complete the scheduler at the bottom of this page. Babette Ten Haken serves organizations as a corporate catalyst and innovative speaker, strategist, coach and storyteller. Babette’s One Millimeter Mindset™ Workshops and Speaking programs leverage collaboration to catalyze professional innovation, workforce engagement and customer retention, especially in challenging Industrial Internet of Things environments. . Babette’s playbook of IIoT team collaboration hacks, Do YOU Mean Business? is available on Amazon. She is an EOS Implementer (Entrepreneurial Operating System®) and a member of SME, ASQ, SHRM and the National Speakers Association.